When it comes to user experience (UX) in art and design, nothing enhances it better than storytelling. According to experienced illustrators, the idea and message you intend to pass to the viewers become clear when a storyboard is used. Furthermore, a precise story captures their attention and they follow closely. Although storyboards take a lot more time and resources to prepare than many other forms of design, they are worth it in the end. 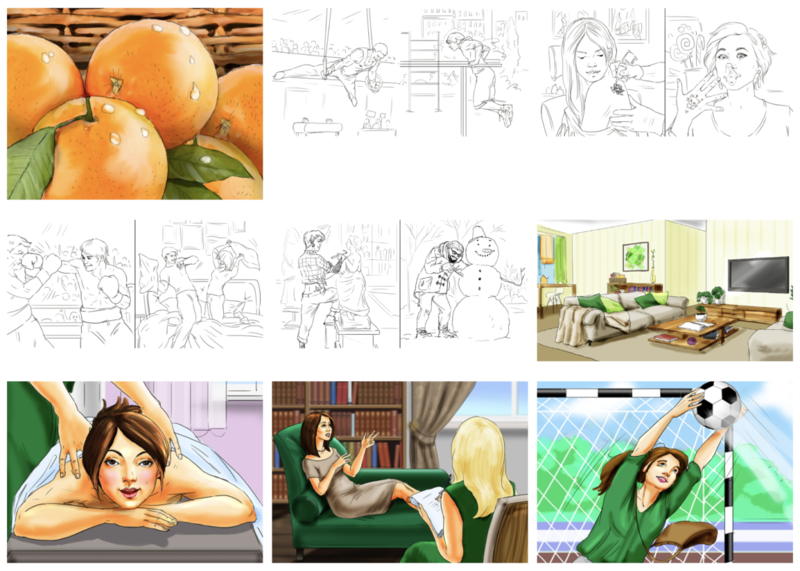 Whether you are a professional or layman, understanding more about storyboards is crucial. The concept was primarily adopted by filmmakers, but today even marketers and artists use it. It is a chronological mapping of a complete story through images and limited writing. The users can follow the events even without the use of descriptions. In any storyboard creation, there are three main components that come into play. One of them is the story that you want to pass to the people. It could be a simple scenario as well. The other one is the images or shot videos that are used. The last component is the captions, which explain more about the events in the visuals. There are many benefits of this strategy no matter where it is used. One of them is that visual illustrations are better in the eyes of the users. Reports indicate the websites that use storyboards are more likely to gain popularity and reputation because they giver a better UX than those that don’t. A professional designer has to organize and come up with such storyboards. these experts are trying to pass across during the presentation. Storyboards have gained more acceptance today than in the past. Reports show that their application in various sectors is an indication that they have better UX because of the visual element. This method is used in different scenarios. One of them is in film preparation where the story writers can briefly explain the scenes through a storyboard. The concept is so heavily used in the films such that it has become a normal procedure. With one story section, the actors can come up with different ideas as long as it maintains the intended message. It is easy to perfect one section of the storyboard before moving to another one. Book writers can also do a summary of their books through a storyboard. When doing presentations to stakeholders, this is the summary they use to tell their ideas in a clear but simple way. The last adoption of storyboards is for marketing purposes. It is easier for a company, through their marketers, to tell their story about a product. Potential buyers will get the message fast and in a more appealing way. The author, Erica Simpson, is an illustrations professional and Tutor in art school. She has 11 years’ experience in illustrations for different purposes like marketing, books and movies which has helped her to acquire great wealth of information. She finds happiness in sharing her knowledge through writing informative blogs related to art and illustrations.